This past June I had the honour of attending the 90th birthday celebration of my high school teacher and coach, Mr. Hugh Marshall. 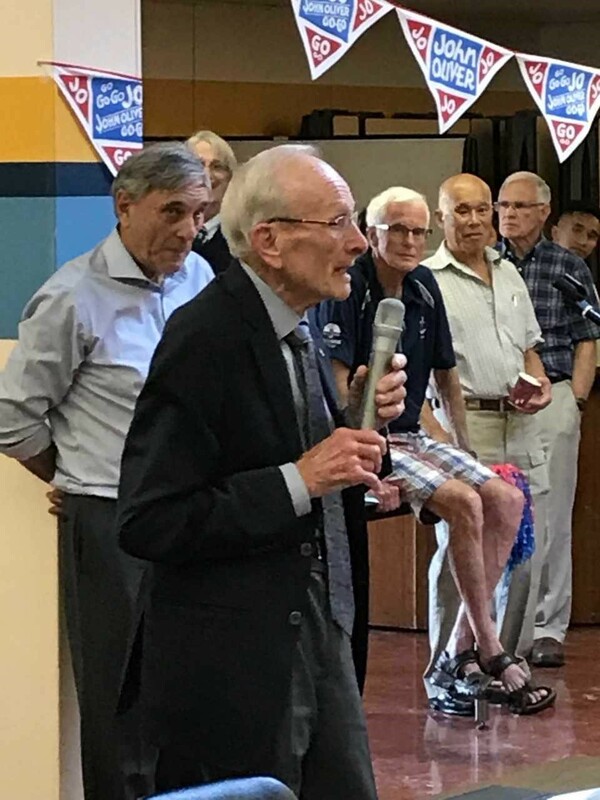 He had long since retired (1987, I think), yet hundreds of former students flocked to John Oliver Secondary cafeteria to celebrate this very special birthday. As an aside, if I can be as mentally and physically fit as he seems to be when I am ninety, I will be extremely happy - believe it or not, some of the alumni joined him earlier in the day for a round of golf! Graduates from as far back as the 1950’s were in attendance and shared memories of their interactions with him and the positive impact he had on their lives. I watched him for much of the evening as he worked the room and connected with everyone in attendance. Amazingly, he seemed to remember everyone (I think he did his homework). It was a wonderful event and brought back fond memories of my time in high school. I have since wondered about what causes us to connect with some of our teachers so well, so much so that we would travel from afar to recognize a teacher who, in some cases, taught us 60 years ago (36 for me)? Thinking about Mr. Marshall, I imagine that there are a few things that the teachers we remember have in common. They cared about us. The central theme of all the speeches honouring Mr. Marshall, was that he took an interest in us, and built relationships. He took an active interest in my life circumstances. He knew that our family did not have all the means to assist me and my siblings to realize our goals, so he helped me to get my first and second paying jobs in high school. He helped me to secure scholarships to help with my post-secondary tuition and made regular contact to see how I was doing after graduation. In fact, he was the reason I became a teacher. I have discovered that he bestowed this care and attention on countless other students. He made us feel special. They had high expectations. Mr. Marshall was demanding. He pushed us. My relationship was not all rosy with him as a consequence. There were days I could have sworn he hated me. I recall one day stopping and staring him down in the middle of a big basketball game, tired of him haranguing me up and down the court. I recall vividly after the game the private conversation we had. He apologized, but also told me that that he would not apologize for believing that I can be better than I was. Like me, so many of his students accomplished things we would not otherwise, due to his unrelenting expectations. They were skillful. Over the course of his 40-year career, his accomplishments in the classroom and on the court were many. I heard many of the speakers talking about being in awe of the head of the best PE department in the city. And they were right. Physical education at JO was the best for decades because of his leadership. Upon his retirement they named the gym after him. As the evening and the speeches wound down, Mr. Marshall took the mic. He graciously thanked everyone for coming, told a few stories and poked a little fun as some of us. In a solemn moment he paused to address the educators in the room, many of whom he had mentored over the years. He said something which will always stay with me: “Despite the many victories and fun we had over the years, the important thing was that we were helping to create citizens.” This is why after all these years I respect and admire him so.